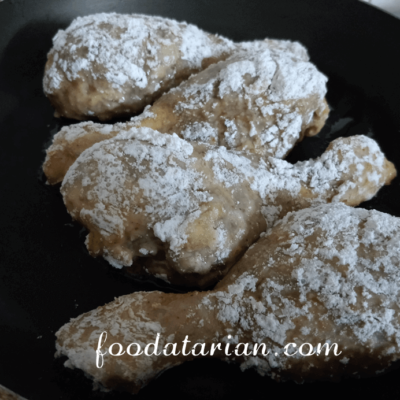 Not so fried, Fried Chicken!! 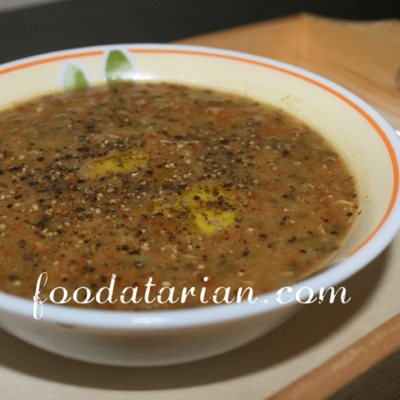 Cooking is joyful, but after a long and tiring day, I sometimes don’t feel like cooking an elaborate meal. It happens to most of us, doesn’t it? 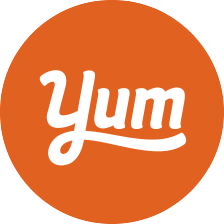 But at the same time, I also want to have something that satisfies my family and my taste buds. When I have any kind of meat sitting in my refrigerator, it’s a no brainer. 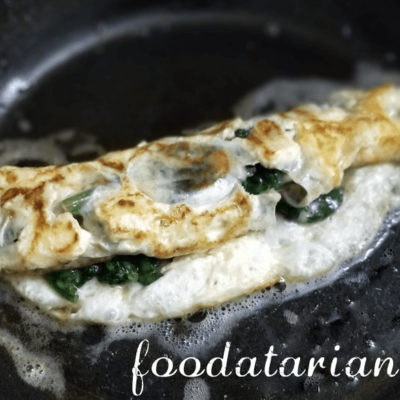 That is because, I can quickly prepare a single dish (like a pan fried chicken that I am about to show you), without any accompaniments with it. 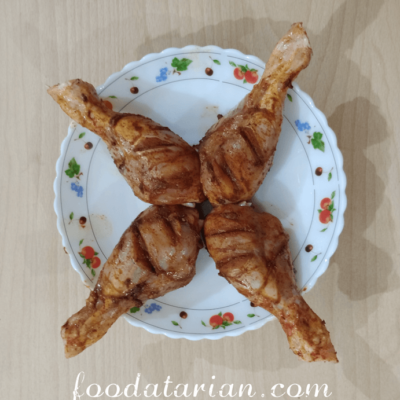 Yesterday was one such day when I made a quick and easy pan fried chicken recipe. 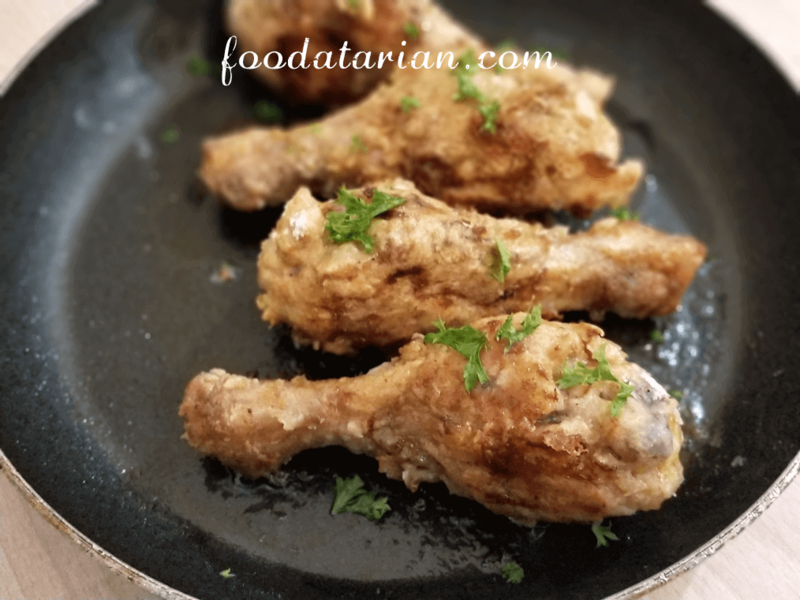 Since chicken is loved by everyone in my household, it makes it simple for me to experiment with different chicken recipes. 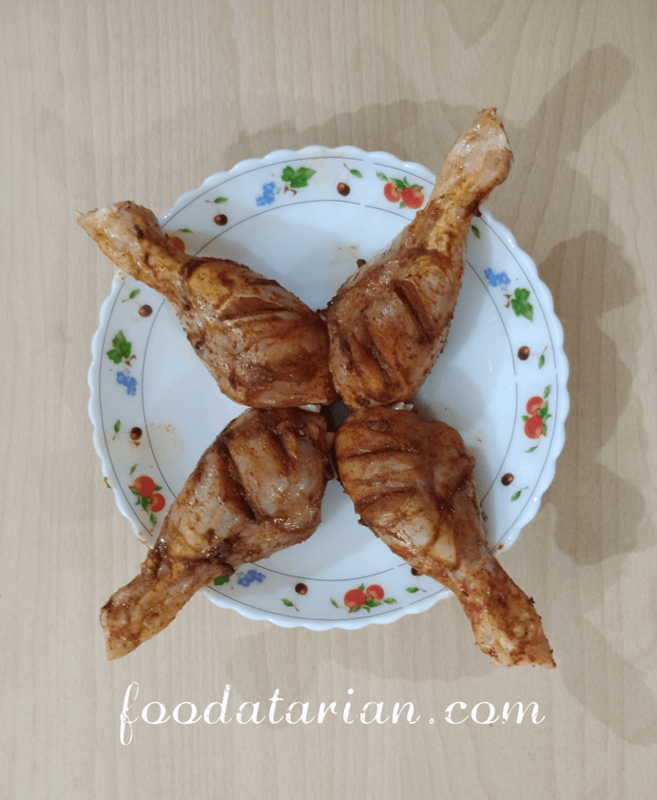 I chose to make pan fried chicken legs and thighs for the same (I have posted pictures of only chicken legs just to have a sort of uniformity in the pictures), although you can use any chicken pieces in this recipe. 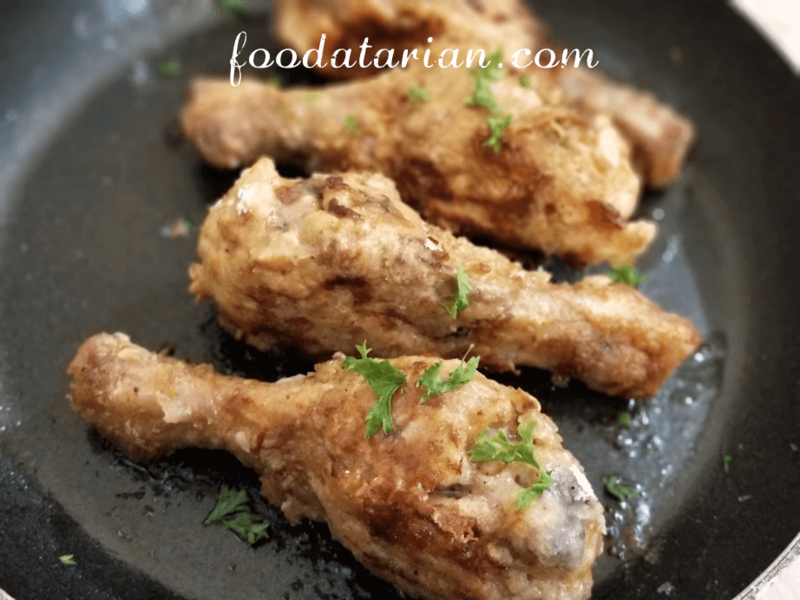 As this recipe is pan fried, I did add a little oil to the pan, to fry the chicken. 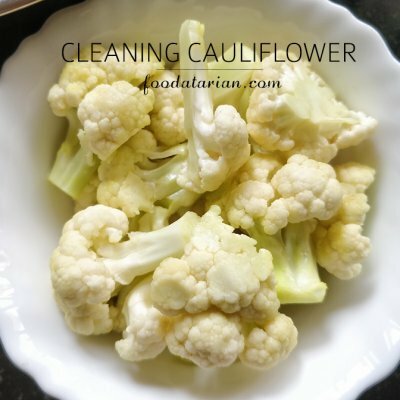 I tend to use as little oil as possible to avoid the extra calories, and keep my chicken recipes as healthy as I can. 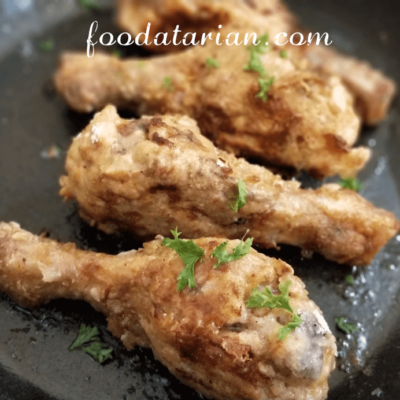 You can grill the chicken or air fry it as well! A simple marinade of salt, pepper, paprika, garlic powder and all spice powder (if you like) is enough to create the magic. 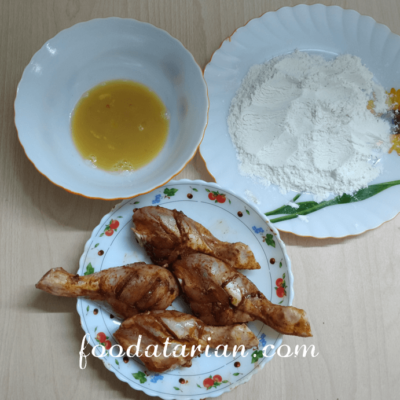 Add a beaten egg and coat the chicken with some all purpose flour and pan fry it. Wash clean the chicken pieces and pat them dry using a clean kitchen towel or kitchen paper. Marinate the chicken pieces with salt, pepper, paprika, garlic powder and keep inside the refrigerator until you are ready to fry it. The more time you keep the better it will be marinated. Remove it from refrigerator 10 minutes before, you are ready to fry. 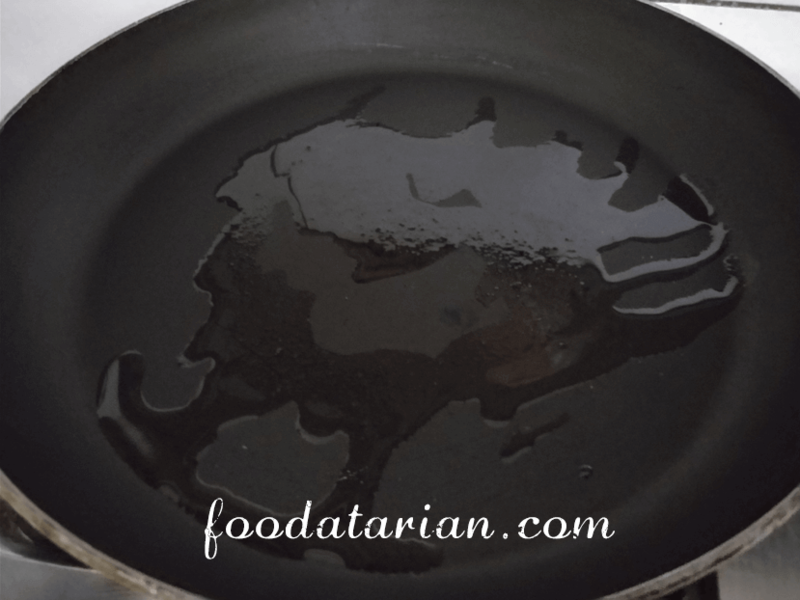 Grease a pan and heat it on medium flame. (This is a prep for the next step) Beat an egg in a bowl and season it with some salt and pepper. 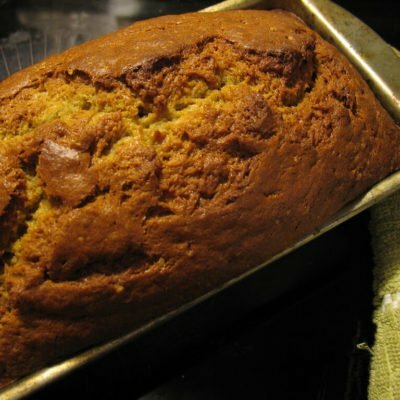 In a shallow dish, mix together all purpose flour and corn flour. Season it with some salt and paprika and mix it. 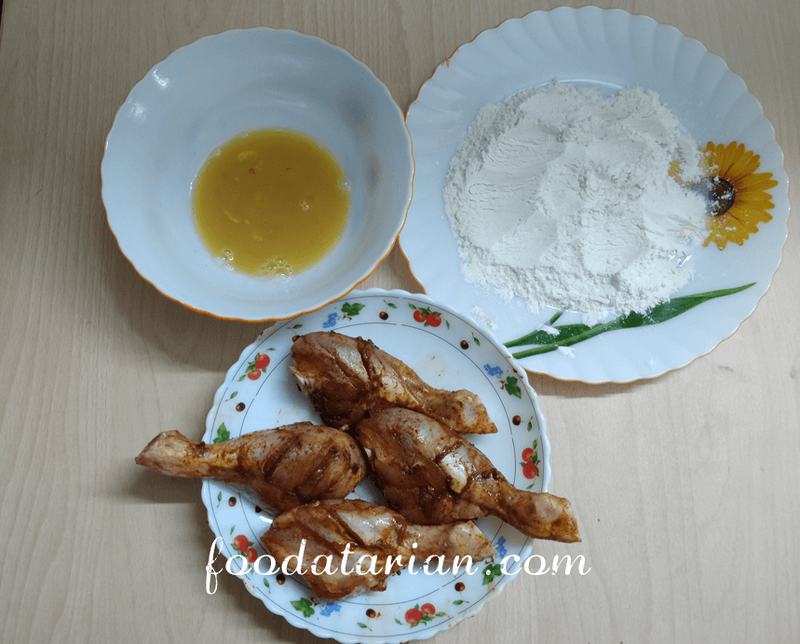 Now take a piece of marinated chicken, dip it well in the egg and then roll it over the flour mixture, so that the entire piece is coated evenly. 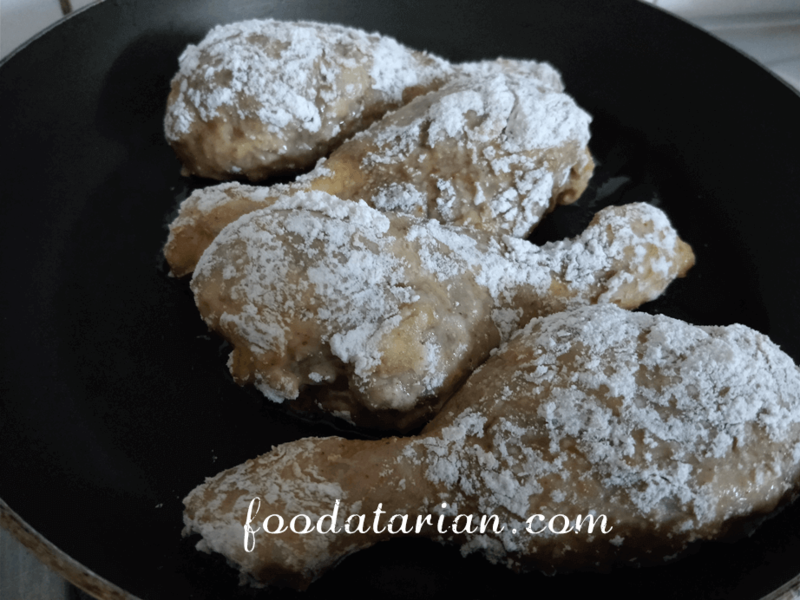 When the pan is hot, place the flour coated chicken pieces in the pan. Drizzle some oil around each piece. Let them cook over medium flame for about 10 minutes. 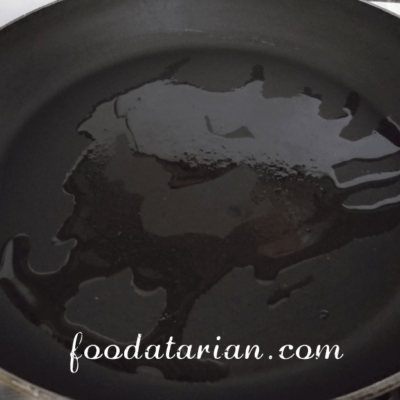 When you see them turning light brown underneath, flip them over with tongs and drizzle some more oil to fry them from the other side. 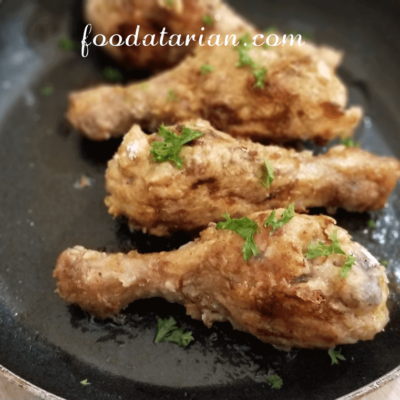 Fry until the chicken is cooked and almost crisp. Serve with a mayonnaise dip. 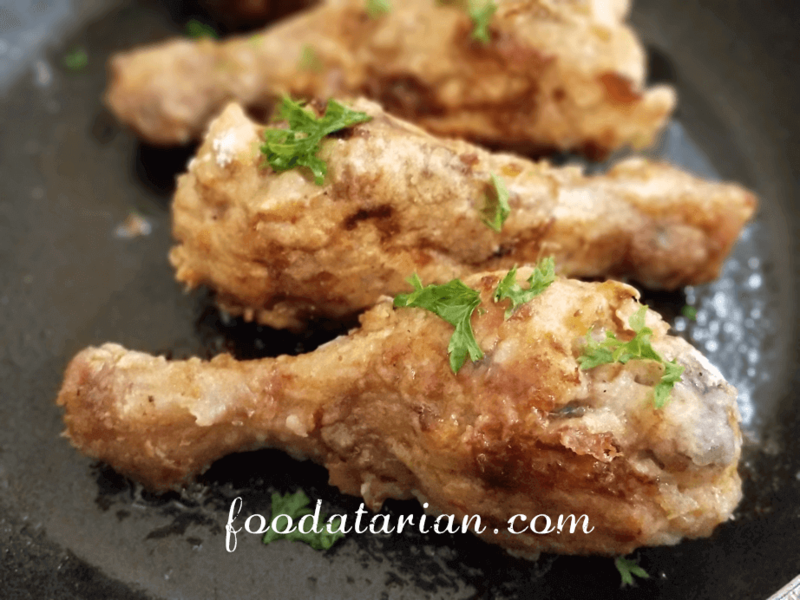 The same recipe can yield Crispy Fried Chicken Legs if you choose to deep fry the same marinated chicken.